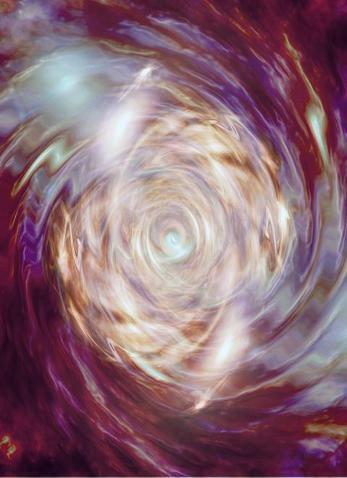 Multi Dimensional Healing is an advanced energetic practice that utilizes VortexHealing® Divine Energy Healing. It's guided by Divine intelligence based in the lineage of magical transformation working through all dimensions down to the genetics. It clears conditioning deeply and profoundly getting to the root, often with transformational results. People on a spiritual journey, in any form of transition or just seeking to better themselves are often attracted to this work. it's an amazing opportunity to explore and experience your dimensional nature organically in a group setting, focused 1-1 individual coaching session or workshop setting. PARENTAL PATTERNS: Our mom and dad blocks are some of the deepest and strongest work you can do. Its become a catch phrase that we grow up to be our mom or dad, but this is really energetic ties that we share. We are conditioned with each parent not only through our personal environments, but our shared karmic, genetic and Divine blueprints. The super-uber-cool thing is that Vortex at the highest levels can create profound movement of these intricately interwoven patterns in just several sessions. It creates a kind of freedom that is palpably more YOU, free of our parents energetic influences. In my personal practice, I've found more and more clients and groups, ready to meet and clear these old parental patterns. I am here to serve your journey. If this type of deep work resonates with you, I'd like to offer you a special PARENTAL CLEARING DISCOUNT rate to assist breaking free of your parental stuff. As with everything, the more work you do, the deeper it works... but several sessions per parent can make a significant impact. In comparison to previous Vortex levels, it used to take me 10 and even 20 sessions to do what I can now do in three sessions per parent. However even one can make a difference. In parental relationship clearing sessions, we'll work on the shared patterns of parental worldview that we pick up, karmic history, entangled patterns we share within that history, environmental co-merging, the Luminous egg (the scaffolding of your dimensional energetics) and epigenetics that keep us locked in identities and positions that are intricately linked with mom and dad. Remember that at the highest levels, distance work over the phone or Skype is just as effective as in person. To be FREE, means to be free of our attachments and conditioning. And since our parental energetics are so deeply and broadly imprinted within us, getting to the root of our parental programming creates such an amazing shift into freedom. *$35 per individual healing or $60 for both. VortexHealing® Divine Energy follows a proven protocol, guided by Source intelligence that continues to work deeper each and every time you participate. It is an advanced energetic modality that works on all levels of reality down to the genetics to clear out conditioned patterns that may keep us stuck in revolving issues of self doubt, pain, fear or anger. This conditioning can be in our genetic/ancestral and karmic/past life histories in addition to what we know of in this lifetime. All of it is then held within Divine blueprints that carry the very same energetic (dissonant) signature. As a VortexHealer, I have advanced tools (Manifesting Intention) and use intent to focus in on the dissonant energies and systematically transform them back into balance. In this distance series, we will focus on Transforming the Core of Loneliness, in a two part group healing. The first group healing will focus on energizing and revitalizing our system and most weakened by loneli patterns, clearing in the energy centers (chakras), energy bodies, lifefield and pathways as guided. Each healing clears what is MOST needed for the group. The second group healing focuses more deeply on the specific areas of conditioning of our deepest loneliness issue. And may include any of the folowing: targeting consciousness of our personality and how it expresses loneliness; how we identify with and relate to it as a story we keep revolving around in our minds, continuously reinforcing it. It also will focus on clearing karmic structures, the karmic field, the astral and more. Our dimensional energy system is quite complex, but the good thing is, it is all guided by the intelligence of Source which knows exactly what you need to facilitate the deepest healing possible utilizing the advanced energetic modality of VortexHealing®. 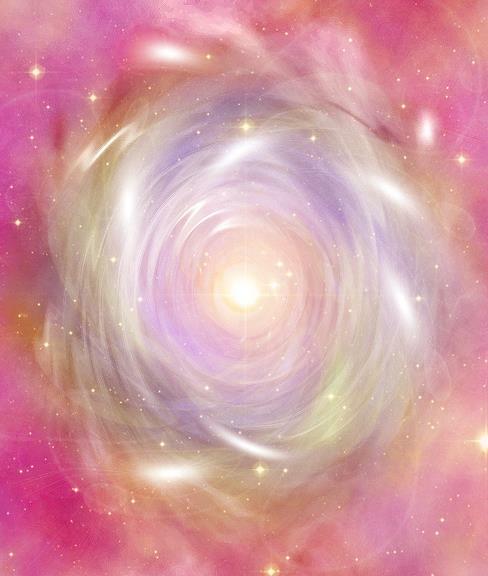 With a full time practice with 100's of clients, and in my 14th year of studying VortexHealing®, I bring both experience and powerful energetic tools at the most advanced levels. 'Manifesting Intention' or MI, works at the level of manifested creation creating profound movement on dimensional levels even at a distance. Each group healing will be kept to a small number of people to insure optimal benefit for each participant. Here's what participants are saying: "Ive been attending events like this for 30 years and have never felt anything like it. It really moved and shifted things for me." Join in for a Saturday & Sunday focused on deep, energetic transformation. *Scheduling now! $35 energy exchange for each individual group healing, $60 for the weekend set (save $10)! Payment Options: Paypal, please use link: https://paypal.me/mdhealing and add 4% user fee. Venmo & Zelle using the email MDHealing@icloud.com Please confirm participation before paying. Multi Dimensional Healing is a holistic energetic practice that utilizes VortexHealing®, Divine Energy at its most advanced levels, Manifesting Intention (MI). It is guided by Divine intelligence based in the lineage of magical transformation working through all dimensions down to the genetics. Guided by intuitive and empathic abilities, this practice follows intention and allows you to experience and explore the expansive nature of high frequency consciousness designed to heal, transform, evolve and embody awakening. With Multi Dimensional Healing, every session, group or workshop is an awakening. Artist: Damian Nola - Please click & visit his website.for more amazing work. Bette Hanson is a seasoned holistic practitioner trained and experienced in VortexHealing®, an advanced form of Divine energy healing focused on deeply clearing conditioning and blocked energy..
As an empath, intuitive healer, channel and higher consciousness mentor, she is devoted to serving people and the planet. Each group healing, workshop or event is dedicated to creating peace and harmony. This is a type of 'Earthwork' serves to raise and shift consciousness through encouraging peace and awakening awareness out of separation and into our natural Wholeness -- connected to everything. Through the practice of Multi Dimensional Healing, Bette offers personal sessions, group healings, workshops, relationship clearing and home/space/land clearing/blessing. Certified at the most advanced level of VortexHealing®, MI, Bette has accumulated over 1350 hours of classes since 2006, with thousands of hours serving clients throughout the country and world. Certified practitioners complete an intensive series of spiritually expansive training based in awakening and self development based in the Merlin lineage of magical transformation. After building a successful practice on the East coast, Bette was inspired and called to move her private practice to Longmont/Boulder area of Colorado. She often travels facilitating this work throughout the country. Please contact BETTE directly to schedule an event, or book a remote/distance individual session, available by appointment. Read more about her personal journey in the background and qualifications page. AFTER EXPERIENCING A MULTI DIMENSIONAL HEALING, IT HAS PROMPTED OTHERS TO SPEAK AND EVEN DRAW THEIR EXPERIENCES. Teacher and Artist, Jacqueline Cooper describes her experience as follows: "Bette's group healings are known to have profound impact on both a personal and planet level," Jacky writes of her experience of how she visualized the Multi Dimensional Healing group healing at Being One Center, in Pennsylvania in 2016. "As we settled into our Multi Dimensional Healing meditation, I feel the grounding energy that surrounds me. With the intention set to receive any information that will allow spiritual growth I give myself to these energies. As time dissolves before me I travel to other dimensions observing from above a group of souls here to work together as one. A center Soul (Bette) captures the Divine Energy to anchor the group. As we unite trough roots descending into Mother Earth's highest source of energy. From above a golden and white light radiates down to the heart of each soul and within each soul there is a sharing of this Divine Light. 'As above unites with as below' in perfect harmony connecting our souls to each other. As we also connect our knowledge to the source above we download all information needed to grow spiritually. We are all one in this sacred geometry of light." If you are on a spiritual path, transformational journey or transition phase, then MULTI DIMENSIONAL HEALING can be beneficial and impactful tool. It utilizes VortexHealing®, Divine Healing Art to holistically clear conditioning at the root, creating the space and freedom for awakening awareness to arise. Choose to experience the laser focus of a personal session, bathe in the energies of a group healing, or soak in an intensive workshop designed to deeply shift blocked and stuck energy. Multi Dimensional Healing practice also focuses on relationship clearing and home/land/space clearing. If working individually, each private session is tailored to meet your specific needs taking you deeper into issues and revealing the hidden aspects, blind spots and shadow sides that prevent you from awakening the freedom for your authentic and true Self to arise. Strengthen: Focuses on energizing and optimizing the entire energy system, the chakra's, pathways, intelligence fields and more, on multi dimensional levels. It is deeply revitalizing and energizing and prepares you for deeper release. It also can profoundly benefit those experiencing fatigue, chronic dis-ease or overwhelming stress of change. It is also a wonderful integration for those experiencing high frequency energy overload to catch up your physical & emotional system to all the changes. Issue Clearing, targets specific areas of programming of our deepest conditioning through a proven protocol. It is for those in need of deep, broad and expansive release of emotional issues, patterns, imprints and conditioning held in our divine, karmic, genetic, and life experience. This level also includes mentoring through direct experience of the awakening and healing process. Intuitive Guidance: This profound, advanced healing, follows the Divine guidance of the intelligence of Source to release and transmute deeply held conditioning that is most impacting you. It is empathically and Divinely guided healing following a proven protocol. All these options are holistic, safe and therapeutic in nature. They work progressively deeper with each consecutive session. Choose Package's of 3, 6, 11, and 20 sessions and save $. Click SERVICES for details and CONTACT to schedule individual sessions or to get additional details on other services. Discounted package pricing information is available by request. Artist: Damian Nola Click & visit websitefor ore of his work. Where Can You FIND MULTI Dimensional Healing? Bette Hanson facilitates MULTI DIMENSIONAL HEALING offering personal healing sessions, group healings and workshops to people and the planet traveling regularly throughout country. I warmly invite you to visit the Travel and the Calendar pages to see where you can experience this evolutionary energy designed to heal, transform and awaken. Or you can experience it anywhere you live. Choose a long distance/remote session via Skype, FaceTime, WhatsApp or phone to experience the healing benefits in the comfort of your own home. Click to read other TESTIMONIALS. Disclaimer: Multi Dimensional Healing is an energetic practice utilizing VortexHealing® as complementary energetic healing tools. They are not a replacement for medical or psychological treatment. Please consult your physician for medical or mental issues in addition to any complementary healing you may receive.